I have been using Pinterest a lot lately in order to pick recipes. I posted a few of them here, here and here. But that is only the tip of iceberg. I thought today I would post a few more that I have tried along with my opinion of them. These are actual pictures of the recipes that *I* made. The links will take you to my pinterest pins and from there you can find the entire recipe. Super Easy Cinnamon Rolls: And they really ARE super easy. This is my favorite food pin on Pinterest thus far. Nantucket Cranberry Pie: Originally from the Pioneer Woman. The recipe called for fresh cranberries and I used frozen. 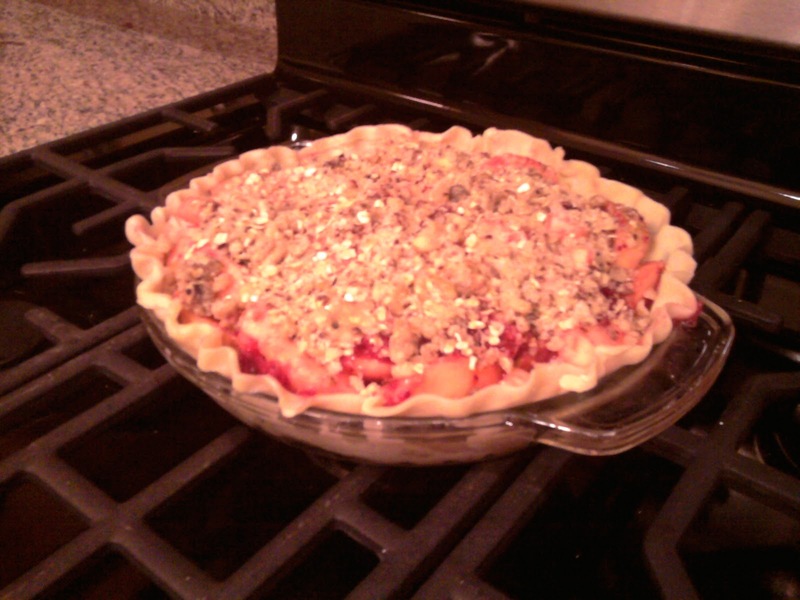 They floated to the top of the "pie" and it wasn't nearly as pretty as Ree's, but it tasted good. Honey Whole Wheat Bread: This was a great recipe. 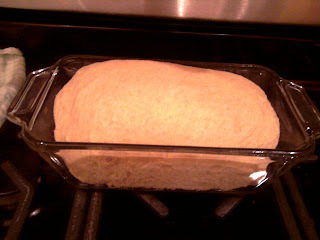 Mixed it in the bread machine and baked it in the oven (the photo is only the dough. It baked up to a nice golden brown) I liked that it had really common ingredients that I always have lying around. Hasselback Potatoes: These were only okay. The edges were crisp while the centers were flavorless and mushy. The kids liked them, but I wasn't a fan. Icing worthy sugar cookies: These were highly rated and so I gave them a shot. 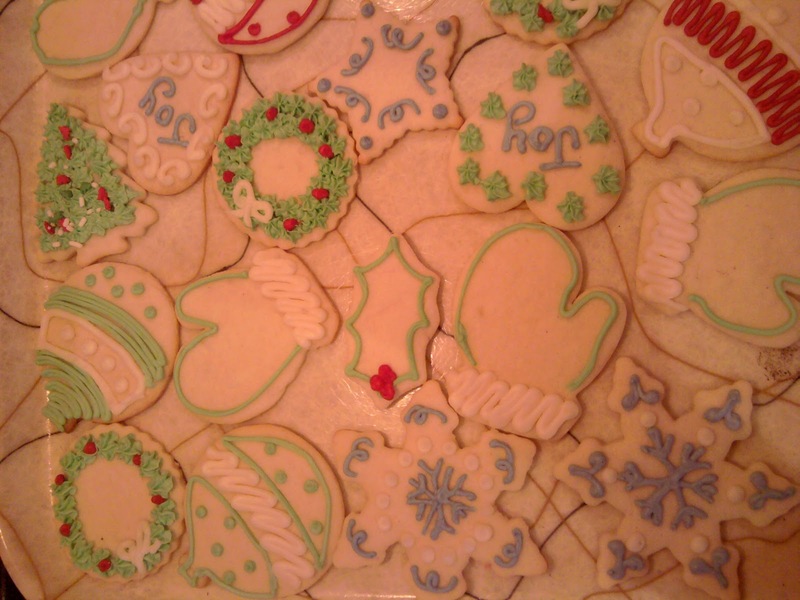 They weren't super sweet which made them perfect for icing. Overall they were good, I would make them again. Ice Cream Cone Cupcake Cake: I made this for E's birthday party. Not really a recipe, but it was Pinterest inspired. Overall, I would say about 80% of the recipes I have tried thus far have been at least okay. I have only had a few total failures, which is better than my track record for google. Those cupcake ice cream cones are adorable!